The LG 55LF6100 series LED TV makes a lot of sacrifices to keep the cost down. Decent picture quality and a bare bones Smart TV experience remain. 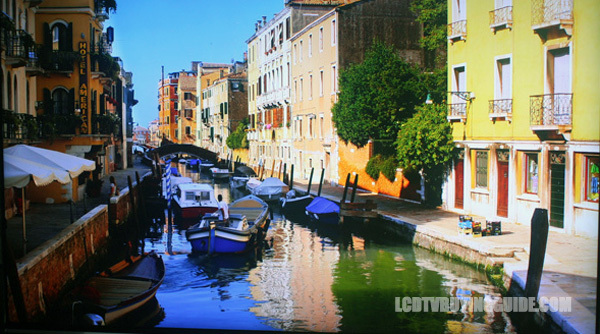 As a step down from the LF6300 series, the 55LF6100 does not have the IPS panel and the fully featured WebOS smart TV package. Side angle viewing and color reproduction take the biggest hit with the loss of the IPS panel. You'll find some of the biggest streaming content providers on the Internet TV options but this is not technically a Smart TV as there are no Apps. The Magic Remote is optional for $49, but without browsing capability on the TV we doubt many will want it. The 60LB6100 ends up as a solid value offering at a price of around $999. This model is all about basic features, with no flashy extras at a great price. The loss of the IPS panel is the biggest hit on side viewing angles and bright color reproduction, but it's not a definitive blow. Color and contrast come out strong when viewing from front and center. Black levels are actually a bit better than on the IPS panel LF6300 model above. Colors accuracy is bright and natural after calibration with plenty of light flow-through.The model is similar in picture quality to the LB6100 from last year. Sporting a 120Hz refresh rate is something you wont see much this year at this price point. At least not from Samsung. This does help with gaming and fast sports action motion lag. Sports programming and fast on-screen action end up looking much smoother on a native 120Hz screen. 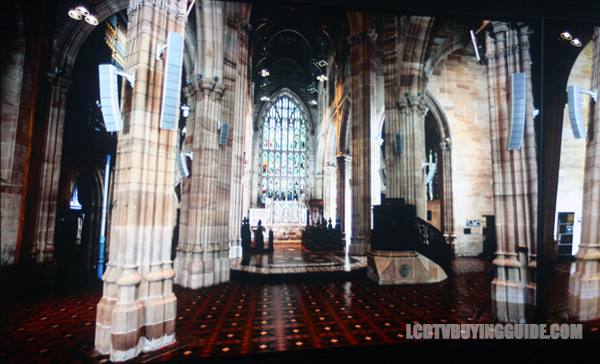 This LED direct-lit LCD television has decent off-angle viewing performance for a value LED TV, but it's one of the major detractors. Compared to many LED direct lit models the 55LF6100 still looks good up to around 30 degrees off center, at which point contrast degrades rapidly. I really believe this is one of the best values out there for black levels and contrast this year when viewing from front and center. Of course, I'm not counting the amazing blacks on the expensive OLED TVs in comparison. 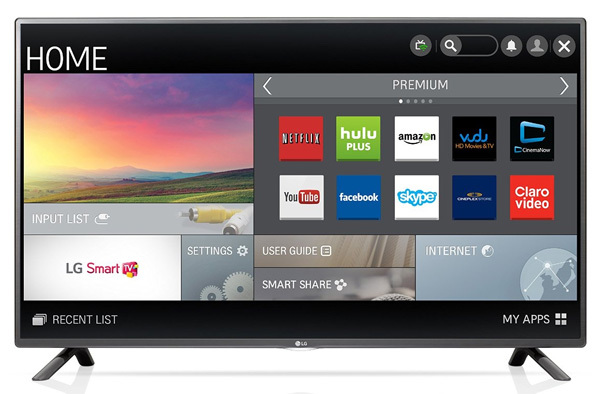 If simple is the name of the game on the WebOS smart TVs, the 55LF6100 is just plain easy to use. Instead of the flashy WebOS 2.0 menu system, LG has provided a very streamlined Smart TV experience with a focus on things users actually want to use... streaming video. You get access to the premium video on demand services like Netflix, Hulu, Youtube, and many more. This suite is called Premium VOD (video on demand). Since LG has cut so much from the Smart TV platform, performance is going to be better than what we have seen in the past. Buffering issues surely aren't completely gone, but a lot depends on the speed of the internet getting to the TV. If you are thinking a robust Smart TV platform will just gather virtual dust, this might be the right way to go. Plus it will save you a bit of cash. You can always add a Roku box if you change your mind. The LG 55LF6100 has a nearly frame-less design with brushed dark silver bezels measuring in at around half an inch. The bezels are not as thin as some of the higher tier models, but they still look great. It also have the 'v' shaped two legged stands we are seeing in many designs this year. They look nice and don't demand much attention, but the width can be a concern. Some TV stands don't have the width, making a wall mount necessary. Keep that in mind. The depth of the panel is about 2.2 inches at the deepest part to accommodate the speakers in the cabinet. The overall design is attractive yet low key with the nearly frameless picture being the highlight. I like the uniform color of this model over the LF6300 above it. The 55LF6100 sells for a smoking hot price of $699 which is about $300 less than the LF6300 above it. I like the value proposition of this TV. A streamlined VOD package, optical output in case you want better sound from a sound bar. If you want a better Smart TV experience you can always get a Roku box. You get plenty of screen space, an attractive package, and decent picture and sound quality for less than a thousand dollars. Not too shabby. Downsides like side angle viewing, lack of the IPS panel, and minimal Smart TV features don't hurt the value here. Just make sure you have other options for content streaming if this is going to be part of the home theater. Weight without stand: 39.6 lbs. Weight with stand: 40.5 lbs.